Apart from standalone programs, you can extend your system with OPL. The Calculator application on Series 3 Psions can perform calculations using built-in and user's own OPL functions. Also macros for Macro5 are written in OPL. On the Series 5 OPL programs can be extended by OPX modules written in C++. 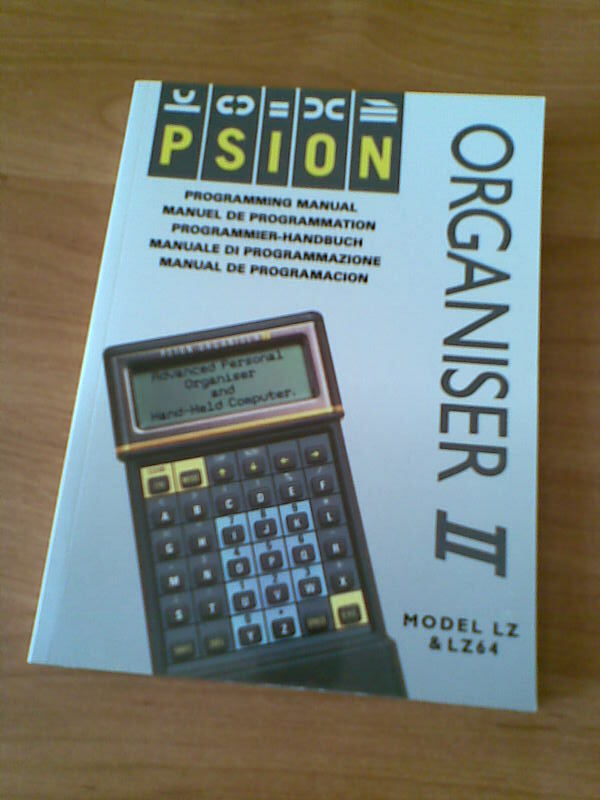 However, although OPL is the simplest way to write programs for Psions, it's not the only one. On the opposite of OPL there are assemblers, allowing you to access directly machine's "guts". Since different models have different processors, it isn't possible to run your program designed for an Organiser on Series 3. Even Series 3 and 5 are incompatible. Psion Organiser II models have an 8-bit HD6303 processor. You can program it using PCMAC. It's a cross-assembler, i.e. it's run on a PC and the generated machine code must be transferred to the Organiser. All Series 3 models and the Siena have a 16-bit NEC V30 - which in fact is a low-consumption 8086 clone (although in different models it's clocked at different speeds). This means that you may use an x86 assembler, compile the code on a PC and it will be ready to run on the Psion. There are tons of commercial (TASM, MASM) as well as free- or shareware (A86, New Basic Assembler) assemblers. If you're willing to do the work on your Psion, there's even one that runs natively on your machine - S3A. Series 5 models are powered by a 32-bit ARM710T. I know of two assemblers for them, both running on the Psion. The first is French Assembleur (unfortunately, the instruction manual is also in French) and the second is called simply ASM. I also read about "GB Assembler Studio" by Nicklas Larsson, but it seems to have disappeared from the Web. Something else? Sure. Series 3 computers can be programmed in C. You'll find some good resources on Gareth and Jane Saunders' website. They have also some goodies for those who would like to write programs in C++ for their Series 5. Of course that's not all. There are many more, especially for Psion Series 5. Among them are two Titans: Perl 5.6.1 and Python 2.2.1. (There's also Python 2.1 port, Epocpython). To me, the greatest drawback of these ports is the lack of Psion API (or I haven't found it). So they may be good for prototyping (in a limited manner, as Python 2.2 is an ancient version, eons before 2.7, not to mention 3k) or running some useful scripts (keep in mind, that they'll execute really slow), but nothing more. No real Psion applications written in Python/Perl. What a pity. For those who want to program in a well-known, multi-platform and powerful language, there's Lua. Not only can you write standalone Lua programs, but also integrate Lua code into your OPL programs, making it possible to write applications utilizing Psion's features, such as GUI. Lua is available from FreEPOC. 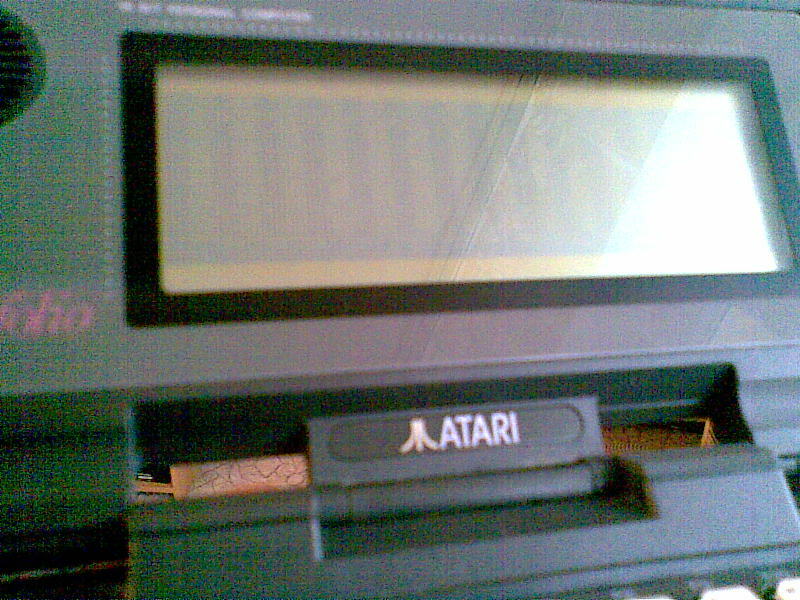 One of Atari Portfolio's weak points is the graphics. Not only has Portfolio very modest graphics capabilites (what can be understood), but also is hardly compatible with PCs. I think this is why there were so few games written for Pofo (Folidash and Phoenix are two of them). There are two ways to display graphics on Portfolio: using interrupt 10h or sending data directly to the graphics controller. The former is very slow, so it's only intended to use when you want to introduce simple graphic elements (e.g. in board games), but its advantage is the compatibility - you'll be able to run your program on a PC. The latter is much faster - it's actually the only way to program animations - but your code will hang the PC.